What should I do? should I admit that I was wrong about Ohio State? Should I admit that I’m terribly pissed off at Purdue’s performance Tuesday night in Columbus? Should I admit that I don’t think Michigan State is as good as I thought they were going to be? 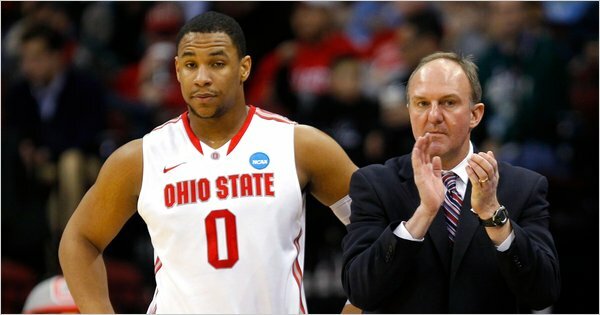 Should I admit that I absolutely hate Ohio State and have no other wish than for ESPN and other commentators to stop blowing OSU’s dicks? What should I do? Should I switch my blog’s topic to college football? Should I just completely give up on making predictions altogether? Should I just give up blogging and save everybody’s time? What should I do? I’ll tell you what I’m going to do. I’m going write a post about who, at this point in the season, I think should be in consideration for Player of the Year. That’s what I’m going to do. There’s 3 guys that really stand out to me at this stage of the season. Jimmer Fredette, Kemba Walker(obviously), and JaJuan Johnson! Jimmer Fredette just put on what is possibly the greatest show I’ve ever seen on a basketball court. I haven’t seen much of Jimmer but that’s mainly due to BYU not getting much air time here in Wisconsin. But, to my pleasure I got to watch him single handedly take down San Diego State Wednesday night. The kid was amazing! He put up 43 points making it his second consecutive 40+ point game. I personally had never seen such a performance from one player. After looking at some of his stats I’m flabbergasted at just how good this kid is. Some might argue that BYU isn’t really in that tough of a conference or this and that. You know what? To score 26.7 points per game (before the stats of the SDSU game were added) you still have to put the damn ball in the bucket. Fredette does just that. He scores. Whether it’s from the charity stripe (.900%), making jump shots or layups, or even from behind the arc (.410% from 3 point land) he puts the ball in the hoop. He’s making his name a household name with his 40+ points nights. I wouldn’t expect him to put 40+ from here on out every night but I wouldn’t be surprised if he put up a few more 30+ point nights. Jimmer Fredette is a freakish scorer on the 9th ranked team in the nation and is currently 20-1(6-0). If he doesn’t deserve Player of the Year then maybe one of these next two guys does. Kemba Walker. What hasn’t already been said about Kemba Walker? I wanted to write a post solely on Kemba earlier this season but never quite found the time to get around to it. Kemba is currently second in the nation in scoring with 24.4 PPG, only behind Jimmer Fredette from BYU (obviously mentioned above). He’s also shooting .395% from behind the 3 point line and is sinking .831% of his free throws. But what’s most impressive about Walker is his ability to take over a game and win the game for his Uconn Huskies. On more than one occasion Kemba has been the star by hitting big last second game winners. He’s also in a few games taken over earlier in the game and put up big numbers to give his Huskies comfortable leads that led to victories. Kemba just might be the most deserving player of the Player of the Year award just from his last second heroics. Between Kemba and Jimmer I have a tough time deciding who I think should win the award. I sure wouldn’t want to be one of the voters this year. My last guy is from Purdue. It’s a well known fact that I’m a Purdue fan. Some might say this is a “homer” blog, whatever the hell that means but hear me out. JaJuan Johnson is leading the Big Ten in scoring with 20.6 PPG followed by Taylor Batter of Penn State with a 20.2 average. Let’s take a closer look at JaJuan. Tall, lanky, center that’s put on some muscle since coming in as a freshman 4 years ago and is a scoring force on the blocks, in the paint, with his mid range jumper, his turn around fade away, his nice little hook shot, his bringing the roof down dunks, and his 3 point shooting. Yeah, I said it. His 3 point shooting. As a center JaJuan is shooting .357% from 3 point land. He’s a center shooting better than most guards from behind the arc. Most of his looks from 3 point range aren’t always wide open shots either. Teams have to extend their defense out to him and he’s knocking down 3’s with very little separation at all. His ability to shoot from anywhere on the court this year is amazing and phenomenal. I also want to point out that without JaJuan Johnson I don’t think Purdue has even 12 wins this season (that’s with Hummel out as well). He’s the most important player on our team and has consistently showed everybody why he’s our go to guy in the crunch. His toughness and determination has led the Boilermakers to their good start (with the exception of their game against Ohio State). Johnson is the essence of the Player of the Year. He leads his teams to victories and does it on a very consistent basis. Like I said, without JaJuan Purdue at best has 12 wins thus far this season. Do I think JaJuan will win the Player of the Year title? Probably not. But I think he should definitely be considered for the award. He deserves it just as much as either Jimmer Fredette or Kemba Walker. There you have it. My top 3 players in the running for the Player of the Year award. Don’t like it? Don’t read it. What should I do now? Last night (Dec. 14th) the Tennessee Volunteers were toppled by the Oakland(Michigan) Golden Grizzlies. Vol fans have every right to be upset with their teams’ performance against the Golden Grizzlies Tuesday night. But, is this loss really a surprise to college basketball fans? I’m going to admit that I hadn’t heard much about Oakland before this game other than they only loss to Michigan St. by 1 point only a few days ago. 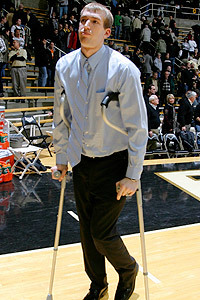 As a Purdue fan I also knew that Oakland gave my Boilermakers a tough game. Other than that I was just as clueless to who the Golden Grizzlies are. Oakland was down at halftime against the Vols 50-39. Is it surprising that they came back to win the game 89-82? I don’t think it is. 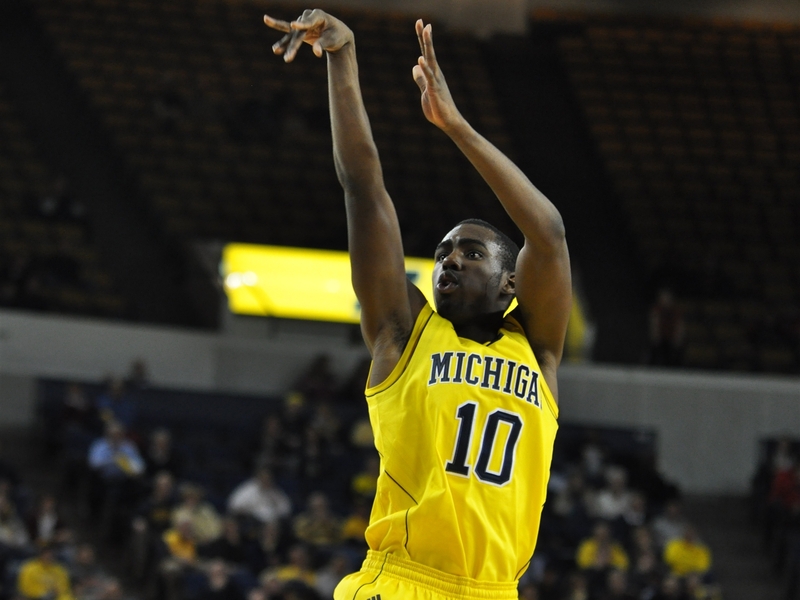 Oakland is led my 5th year senior Keith Benson, 18.8ppg (had 26 points and 10 rebounds against Tennessee). Having a 5th year senior as your leader always makes a coach feel warm and fuzzy inside. Benson has plenty of game experience and confidence to lead his team when it’s crunch time. Oakland was last years Summit League champs and they look to repeat their success and to earn another birth into the big dance in March. Coach Greg Kempe has intentionally put his team through a tough schedule and their record shows for it (6-5). They’ve already played 4 ranked teams; Purdue, Illinois, Michigan St., and Tennessee. They also have currently ranked #2 Ohio State on their schedule. Coach Kempe after the game was not surprised by his team’s victory over the Volunteers. “We’re not scared of anybody, We weren’t intimidated by the No. 7 team in the country because we had just played Michigan State, and we should have won that game. We had just played Illinois, and we could have won that game. I think those are big and can help us”-Kempe. Oakland is currently 21st overall in the nation in scoring, putting up 80.5 points per game. They are also bringing in 40.7 rebounds a game, 26th in the nation. Their success on the boards has led to many second chance opportunities to score. Mix these two keys to success with their solid team defense and you have yourself a winning program. Oakland held the Vols to shoot just under 35% in the second half, including a 5 minute drought where Tennessee didn’t score one point. Oakland’s track record thus far is very impressive. They are now 1-3 vs ranked opponents, are the returning Summit League Champs, are led by a 5th year senior, and are ranked in the top 30 in scoring and rebounds per game. I wasn’t as shocked as some may have been to watch the Volunteers fall to Oakland. The Oakland Golden Grizzlies are definitely a team to keep an eye on come March.